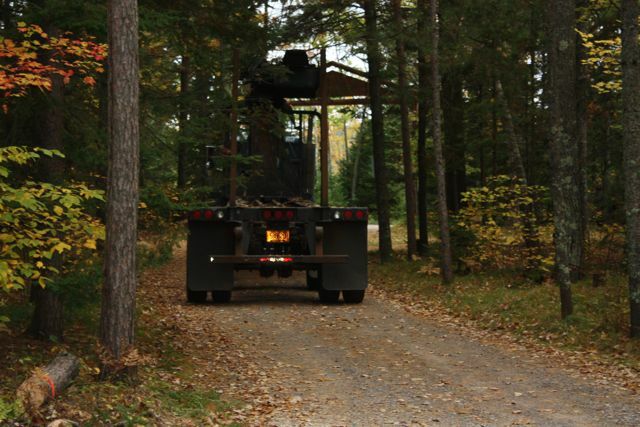 Will it fit out the driveway? 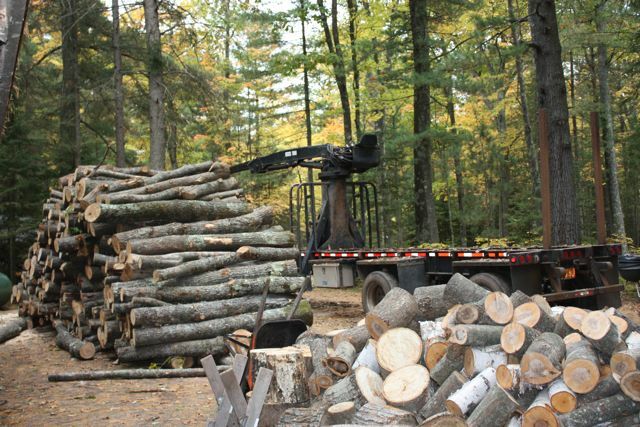 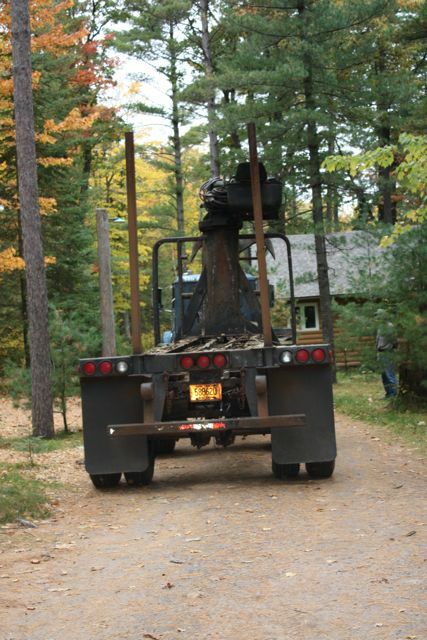 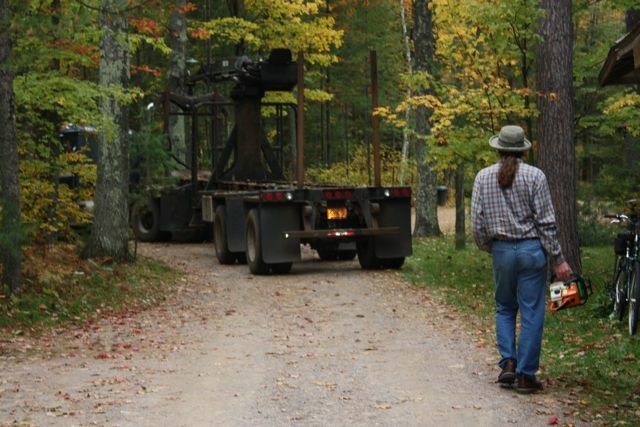 We had two huge loads of wood delivered to the resort from a local logger. 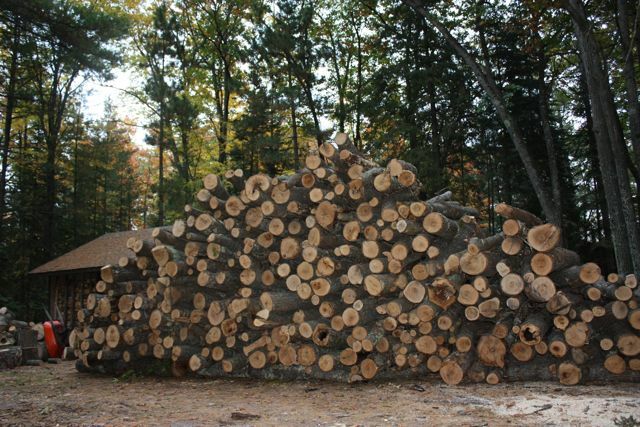 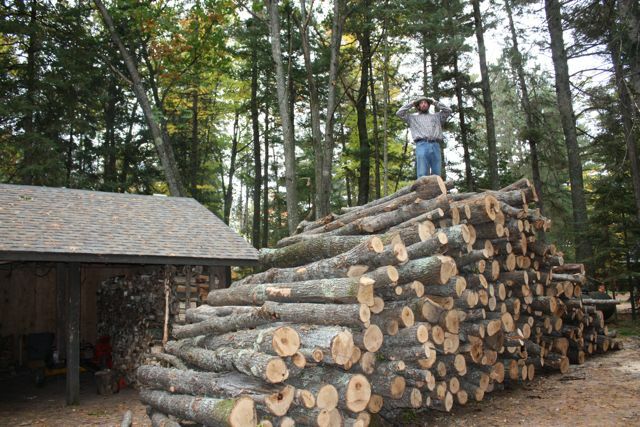 This logger used a double section truck dropping 14 cords of wood in front of the shed. 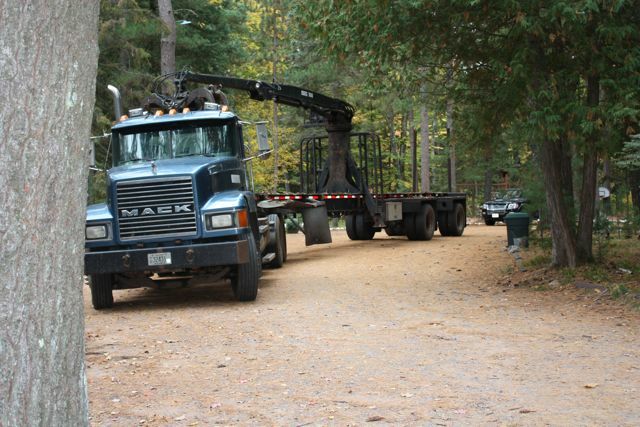 Question is can we get the big truck and trailer out of the driveway? 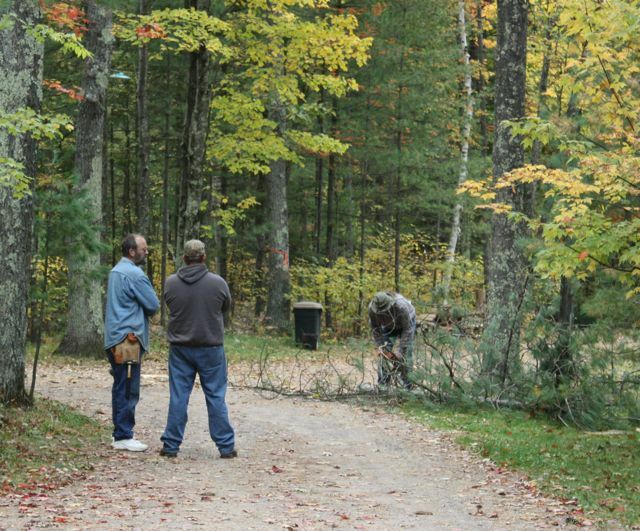 The guys were doing so well not hitting things. 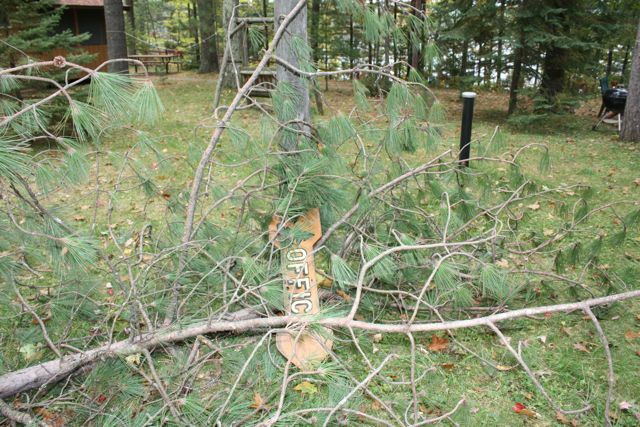 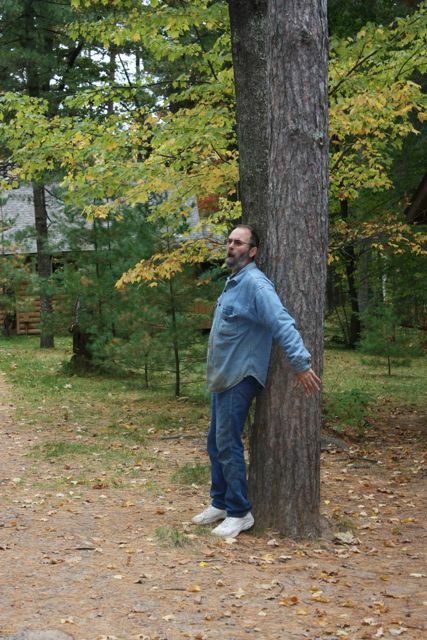 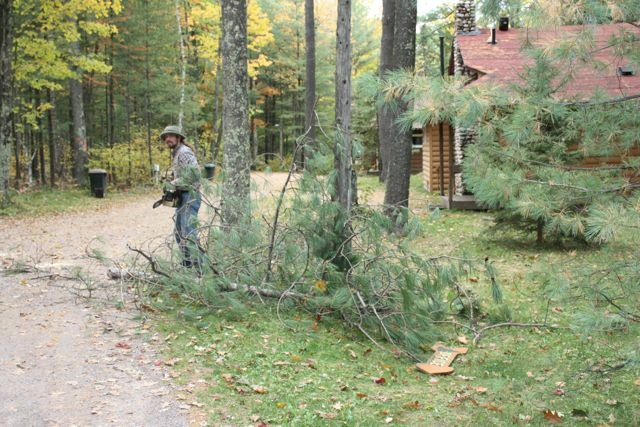 This tree was taken down at the spur of the moment with no come-a-long used… so what did they hit?